Produced By SP Tobacco, makers of premium snus brands such as Romeo y Julieta snus, Taboca White is a dry portion snus manufactured with fine hand-selected tobaccos. 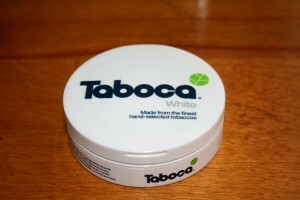 Taboca White snus 8mg of nicotine per portion, with 16 grams of snus per can. Upon opening my can of Taboca White, I noticed a pleasant citrus smell which reminded me a bit of a cross between an orange and a lemon. 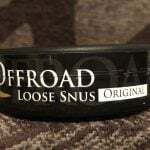 This aroma was very nice, and the snus smelled very little of ammonia. Upon placing a portion in my mouth, I immediately noticed a mild salty tobacco flavor. which was complimented by a subtle citrus taste. I also detected a hint of fig, which helped to round out the tobacco flavor, producing a nice experience. For about twenty minutes, the citrus and fig flavors were present, and afterwards the taste transitioned to a salty tobacco flavor which remained until the fourty five minute mark. The taste reminded me a bit of General Green Harvest, except instead of the citrus flavor tasting like bergamot, it was a bit sweeter and more like an orange. The portion material fit comfortably in my lip, and each portion felt quite fully packed. After about fourty five minutes however, the snus began to taste bitter and started to drip quite a bit, requiring me to remove the portion. 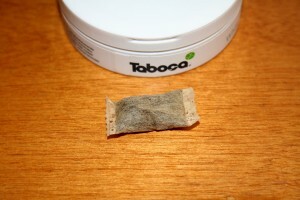 Overall, Taboca White is a tasty tobacco dominant snus complemented by hints of citrus and fig. 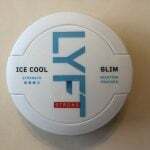 The taste was quite balanced, and the snus retained a nice flavor for about fourty five minutes. 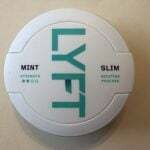 However, I did find the nicotine buzz to be a little weak, and because it is a white portion snus, it took a little bit of time before the flavor develops and the nicotine buzz sets in. I recommend Taboca White to those who are looking for a tasty tobacco dominant snus brand which also has a slight hint of sweet citrus to mix things up a little bit.